September 15, 2014 — EVANSTON, ILL. — Evanston residents of all ages are invited to celebrate the back to school season during 'Kits, 'Cats and Kids Week. There will be a big Block party on Thu., Sept. 18 and the week culminates with a Big Ten football game at Ryan Field. 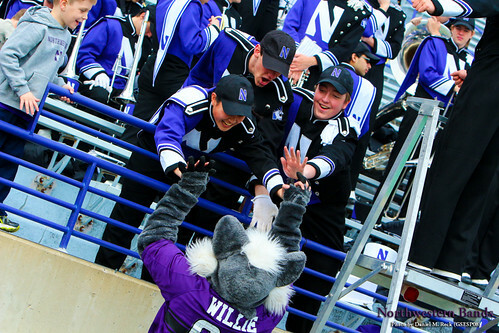 The Northwestern University "Wildcat" Marching Band and Evanston Township High School Marching Band will be featured performers. May 23, 2014 — EVANSTON, ILL. — Chicago's premier thoroughbred facility, Arlington International Racecourse, will turn purple and white for the fourth-consecutive year to celebrate Northwestern Day on Sunday, June 1. The event, beginning at 11:15 a.m., will recognize the academics, athletics and pride of Chicago's Big Ten Team with unique and special events for fans of all ages. The sixth race on Sunday's card has been designated the Northwestern Cup. The approximate post time for that race will be 3:30 p.m., while the first race of the day will go off at 1 p.m.
"This is a really fun event that features lots of purple and NU coaches in attendance,” says Northwestern University Director of Althetic Bands Daniel J. Farris. 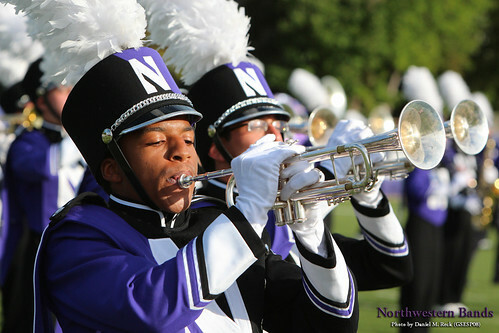 April 28, 2014 — EVANSTON, ILL. — "High school marching bands are invited to participate in two events we will host again next fall," says Daniel J. Farris, director of athletic bands at Northwestern University. "High School Band Day is a mass band event that will be held during the halftime of the Northwestern/Northern Illinois football game" on Sat., Sept. 6, says Farris. 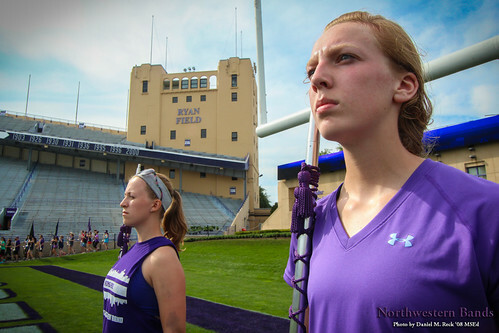 Participating high school bands will rehearse with the Northwestern University "Wildcat" Marching Band before taking the field with the Wildcats during halftime (if weather allows). Admission to the game is included for band members and personnel. 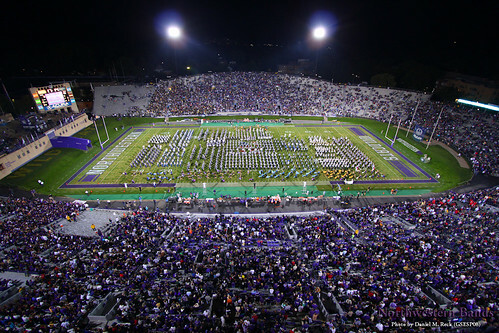 In recent years, around 1,000 students have performed together during the halftime show, which feature simple straight-line marching to a stationary block in Ryan Field. "This is a non-competitive event," says Farris. High school bands are welcome to enjoy the remainder of the game or depart immediately after halftime. Later in the fall at the Northwestern Homecoming Parade, "thousands of enthusiastic Northwestern fans line the parade route on Sheridan Road in Evanston," says Farris. The parade will step off at 6:30 p.m. on Fri., Oct. 17. Participating bands enjoy viewing an open rehearsal of NUMB at 4 p.m. before enjoying a group meal with other high school ensembles in the parade. All bands are invited to enjoy the 7:15 p.m. pep rally in Deering Meadow. This event features the Wildcat Band, WildPride, and other VIPs. Questions about these events may be e-mailed to Farris, who may also be reached at 847-491-4751.